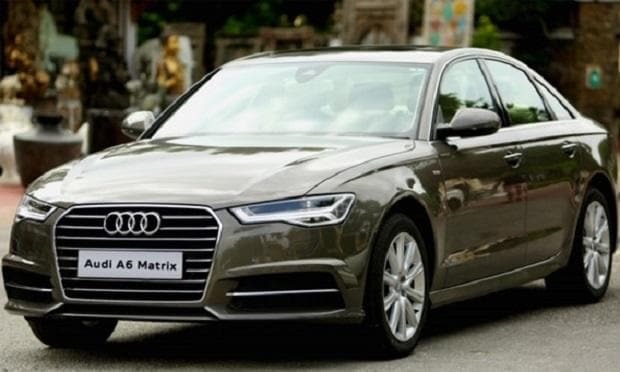 German luxury car maker Audi Tuesday launched its A6 sedan Lifestyle Edition in India, priced at Rs 49.99 lakh. The A6 Lifestyle Edition is equipped with new added features and accessories such as rear seat entertainment, mobile coffee machine Espresso Mobil and entry exit lights with Audi logo projection, among others, Audi India said in a statement. These features are meant for the new age customers who like to move around impressively and with style, Audi India Head Rahil Ansari said. "With the introduction of the Audi A6 Lifestyle Edition, we have further increased the luxury quotient of the already favourite Audi A6 amongst the luxury car buyers," he said. With the rear seat entertainment, rear seat passengers can enjoy infotainment through networked tablets with 25.65 cm touch screen that also works outside the car, the company said. Currently, the A6 sedan is available with 1.8 litre petrol engine and 2 litre diesel engine options.